Free $25 Cheesecake Factory reward — First 10,000 people!! Love The Cheesecake Factory? Don’t miss this chance to grab a FREE $25 Cheesecake Factory reward! Go to at 4 p.m. ET today, April 1st. Click on the “Claim Free Food” button. If you’re one of the first 10,000 people to claim this offer, a $25 reward will automatically be added to your DoorDash account for you to spend on a delivery order at The Cheesecake Factory! You’ll be able to use your reward through the end of this week. It will expire on April 7th. This freebie will probably go REALLY fast, so be ready if you want it! Panera Rewards: Possible Free Bagel Every Day in April! Don’t forget to check your Panera Rewards account to see if you go the FREE bagel reward this month! If you’re a member, log-in and check your account to see if you have a reward for a ! Limit 1 free bagel per day with Panera card. Spreads cost extra. Did you get this freebie offer this month?! I’ve gotten this once in the past and did quite the happy dance when I discovered it!! Starting now and running through the end of the summer, you can get ! 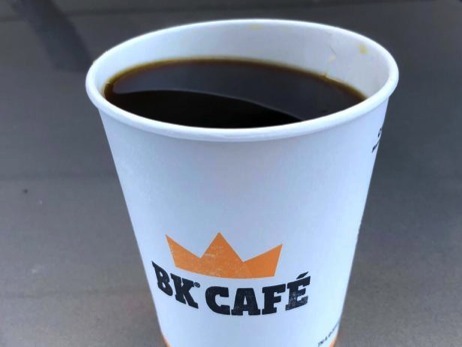 Burger King: One Month of Coffee only $5! Sign up for Burger King’s new and get a free Small Hot Coffee daily at any participating Burger King restaurant for only $5 per month! This is just $0.17 per cup if you stop by daily. Simply download the Burger King App, look under the ”Offers” tab, click on ”Subscribe Now” and follow the directions. This offer excludes specialty, iced and frappe coffee beverages. Homeschool enrollment for the popular Pizza Hut Book-It Program just opened for the 2019-2020 year! Your children will earn a and a sticker on their Passport to Reading when they meet their individual reading goals each month. Score a free $5 Frozen Yogurt Reward from Menchie’s! and ! You should be able to score a frozen yogurt treat for free or almost free with this reward!